Earlier this month, in the depths of Downtown L.A., Dublin native EDEN, aka Jonathan Ng, preformed at The Ace Hotel. The sold-out show fell in on the fourth leg of his Vertigo World Tour, which officially started earlier this year in March. The singer/songwriter/producer has released six EPs, and more than 70 songs on his Soundcloud, prior to releasing his self-produced debut album, Vertigo (Astralwerks/Capitol), this past January. At his shows, he works hard to bring his music to the forefront, as his shadow cascades in front of the crowd while performing. Rarely does the audience catch a glimpse of the Irish artist behind the clouds of smoke and iridescent colors beaming behind him—a true cinematic experience. 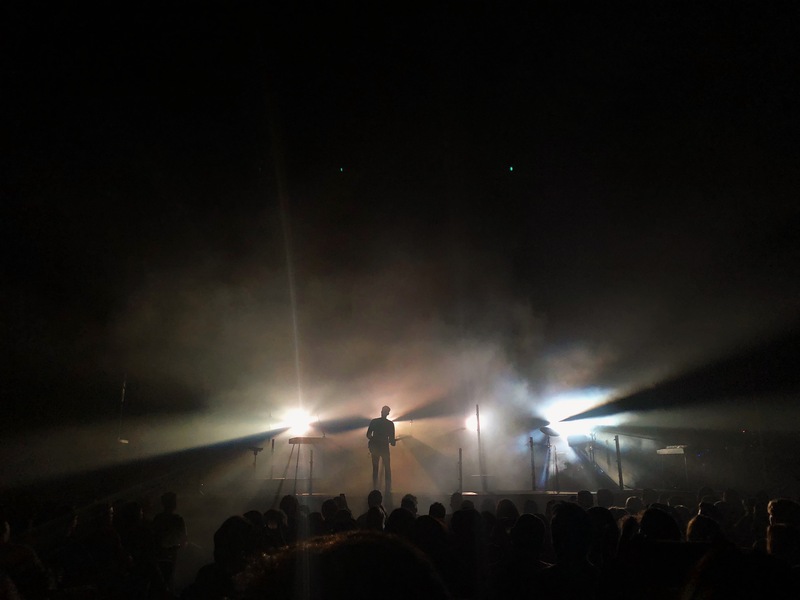 The atmosphere at the Ace seemed like an odd choice for EDEN’s show, but it ended up providing a fitting environment for his melodramatic EDM, as well as his deconstructive pop songs. Tracks such as “Crash and Float,” “love; not wrong (brave),” complemented each other and were definite fan favorites. Vertigo tells a story of heartache and vulnerability that EDEN let show for itself with his mysterious touch when it comes to storytelling. The true effect of the Vertigo World Tour, however, reveals itself not while you’re listening, but after the show. For more details about his tour, ending in his hometown of Dublin, click here.